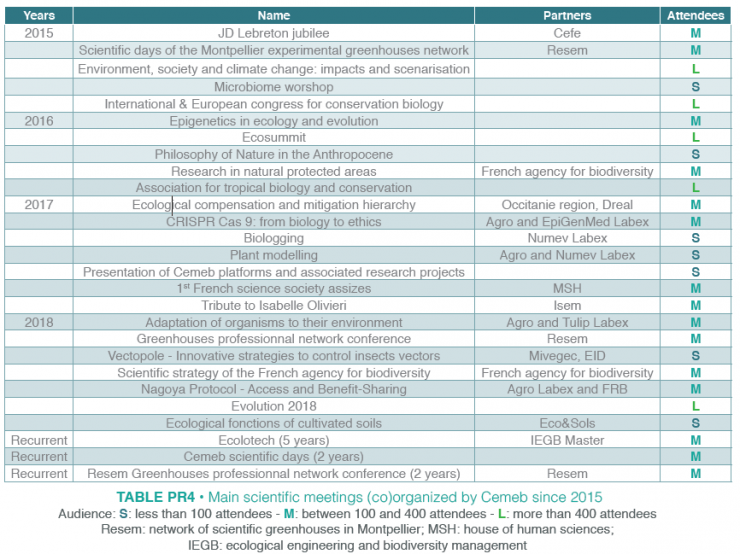 Cemeb organized working groups on various themes, and sustained one large meeting (500 to 3000 attendees) per year and smaller, more focused meetings organized in Montpellier (Table PR4). Cemeb also organizes a weekly seminar in ecology and evolution (initiated in 1979) and the prestigious annual Thaler lecture (e.g., R. & P. Grant in 2016, J. Bascompte in 2017). Overall Cemeb organized / co-organized 30 meetings and funded 47 meetings since 2015 vs. 16 over the 2011-2014 period. Several conferences were filmed (see Cemeb website). 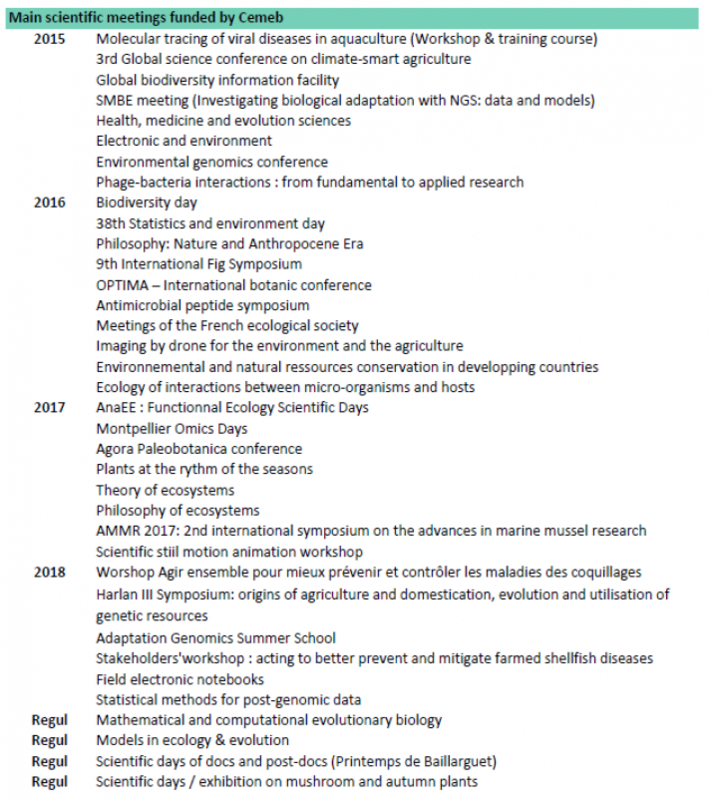 Table PR4 provides an overview of the diversity of meetings since 2015 - note that the large conferences (L) were organized by scientific societies and are mentioned when Cemed funded them and participated to (part of) the organization.